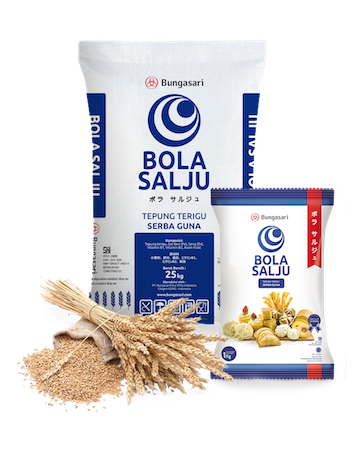 Utilizing Opportunity to Continue Growing Bungasari believes that the capacity and capability that we possess are able to bridge the gap in this industry. 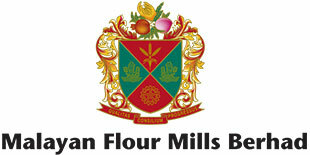 Using the most advanced technologies and experienced experts to process the finest wheat into high-quality wheat flour. 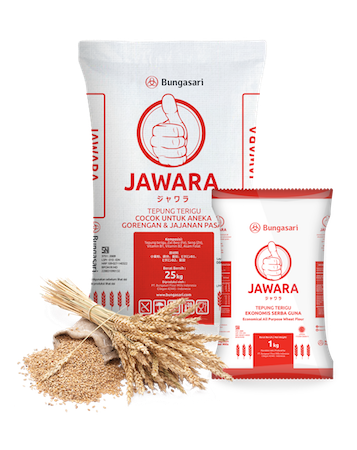 We believe our product’s quality and services will enable Bungasari to compete in the wheat flour market. Innovation and change is the key to conquer the challenges and stand up to the rigors of competition. For you who loves to make biscuits, pastries and cakes, now there is HANA BIRU. Made from high quality wheat with the perfect composition, HANA BIRU is the right choice with low protein content to make soft cakes and crunchy yet healthy food. 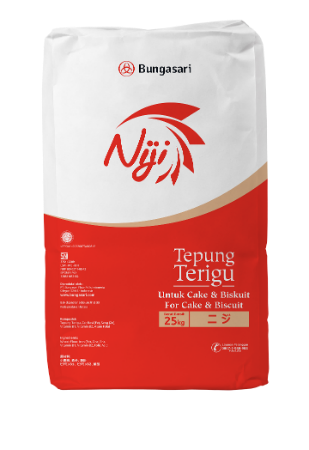 Enjoy crunchy biscuits, cookies, crackers and soft cake with NIJI wheat Flour. 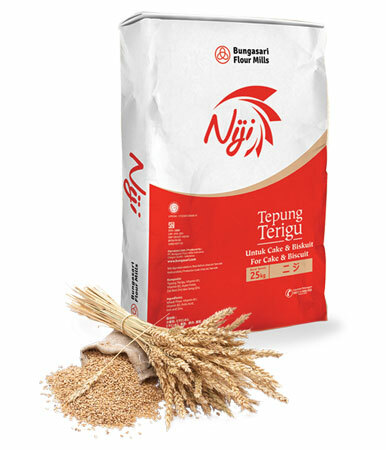 Made with modern technology from the finest selection of wheat, NIJI becomes a premium wheat flour with the perfect composition that will make biscuits, pastries and cakes special. 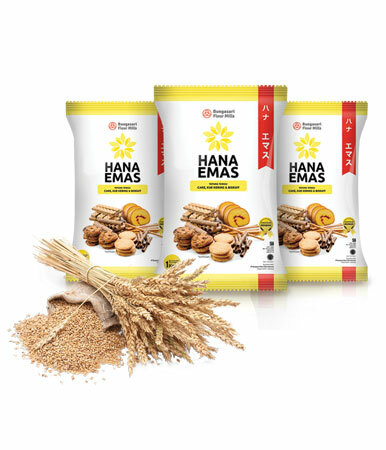 Made with modern technology from high quality wheat, HANA EMAS is a low protein wheat flour with low water absorption rate and ash content. 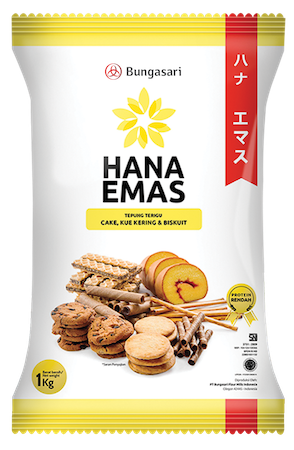 HANA EMAS Wheat Flour, Perfect For High Quality Food. 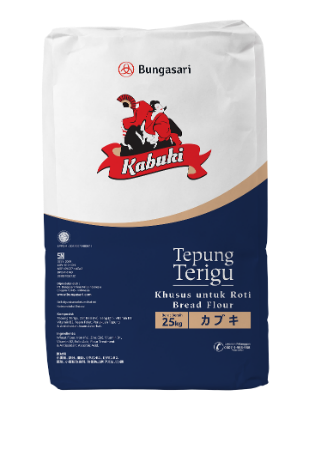 High in protein and low in ash content with fine texture KABUKI wheat flour is the perfect choice for any kind of plain & sweet bread. 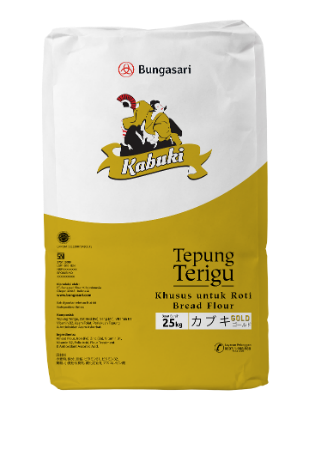 Made from highest quality wheat, KABUKI is a premium wheat flour that will produce clean white bread which rise perfectly with soft japanese bread texture. 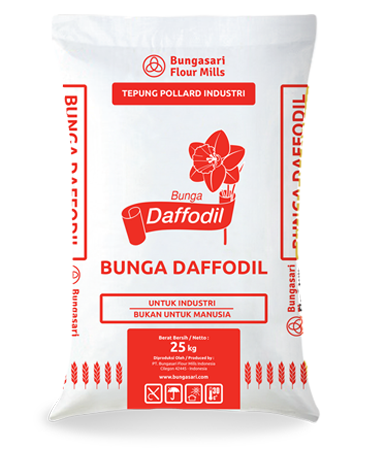 It is highly refined with low ash content, this wheat flour will produced clean white bread, rise perfectly with a soft and fine texture. 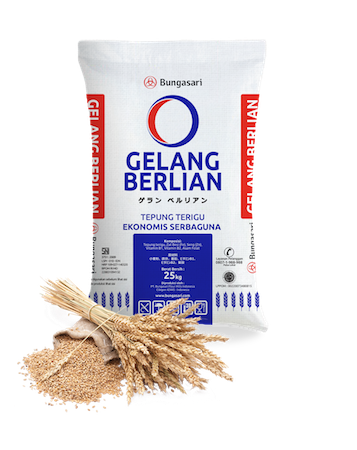 A perfection for you who crave for a variety of premium quality plain and sweet bread. 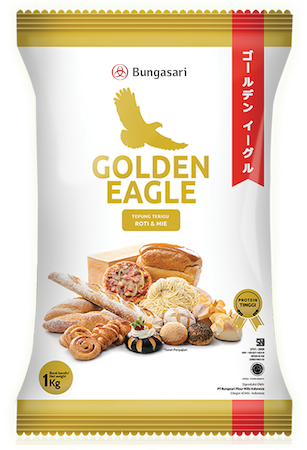 For perfect quality bread, chewy and shiny noodle, GOLDEN EAGLE is the perfect choice. Made with the latest technology using the finest selection of wheat, producing high protein wheat flour for a variety of delicious dishes. 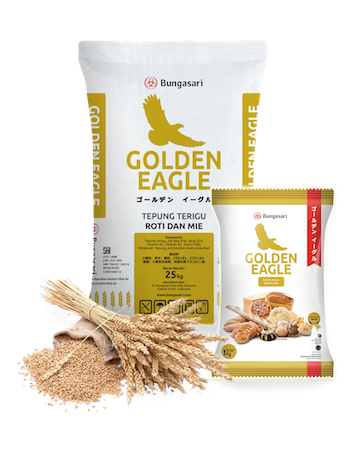 Switch to GOLDEN EAGLE and feel the experience of making premium bread and noodle you have been craving for. HIKARI BIRU specially design wheat flour to make strong, soft and chewy noodle. 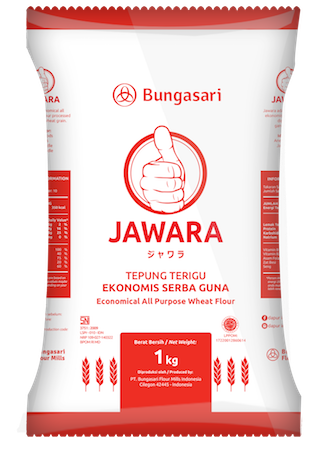 Made from the finest selection high quality wheat by Bungasari experts, producing high protein wheat flour with low ash content for an appetizing shiny noodle. 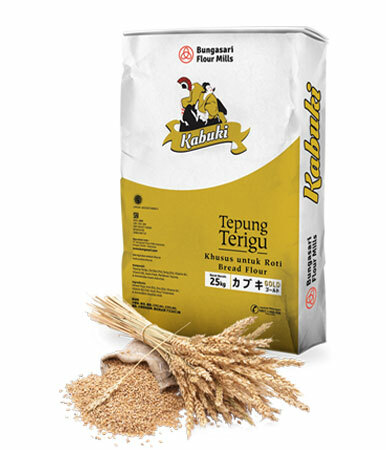 KRAKATAU is the perfect high quality and economic wheat flour for making sweet and plain bread. Made from the finest selection wheat through high technology and hygienic process producing a high quality wheat flour. 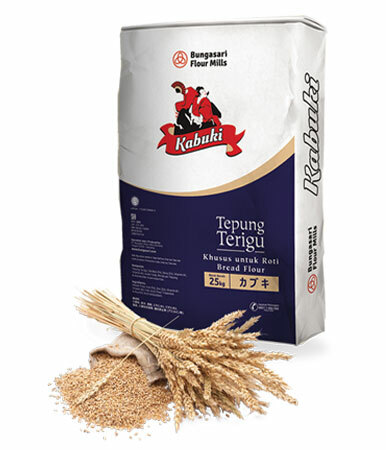 With KRAKATAU, bread becomes soft, chewy and rise perfectly. Suitable for small, medium and large scale industry.